Moonwalks, bounce houses or jumpy things no matter what you call them, All Star Inflatables has the best selction of inflatables in Cincinnati, Dayton, Northern Kentucky and Indiana. Our most popular rental ever! 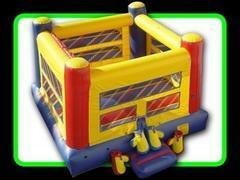 The perfect item for a birthday party, church event, family reunion or a company picnic. We are fully licensed and insured for operation in Ohio, Kentucky and Indiana. 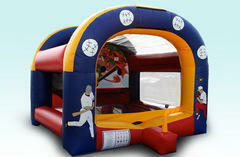 Have your own baseball game at your party. Which team can get the most hits or have a home run derby. Fun for all ages including adults. This is a great add on to another rental with special pricing.